Beka ~ Specialty Wood Products Handmade in the USA! Wooden Toys, Furniture & Looms!! ALL of our products are 100% MADE IN USA!!! We specialize in handmade wooden products! Proud to be USA Made! We make a wide variety of USA Made wooden Toys and Looms including: Building Block Sets, USA Made Easels, Puppet Theaters, Art & Play Tables, Train Tables, Storage Carts, Stilts, Ring Toss Game, Lemonade Stands, Weaving Looms, and much more! It all started back in 1973, with a design and a dream of making Weaving Looms, after many years of Loom making the owners started having children and said "why don't we start making Creative Play Products for Kids". We've been making Looms and Toys now since 1973 - all in our family owned woodshop in Minnesota. We're proud to be Minnesota Made. 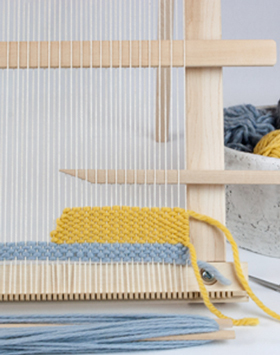 You'll love our hand crafted Wooden Toys, Weaving Looms & Limited Edition Items! All of our products are meant to spark creativity and imagination. See why our products have received so many awards! We encourage you to support local businesses -- just like we do! We Love the idea of "small business Saturday". Our thinking is "every Saturday makes sense!" Right? When you add to that concept, buying locally made (in the USA) you tremendously increase the value of buying LOCAL! We appreciate the opportunity to earn your support! Again, Welcome to Beka Wood Products! We are a woodshop/manufacturer; please let us know if we can help you with your next wood product idea. If you are a Retailer interested in carrying our wooden toys or looms, click here for more information! 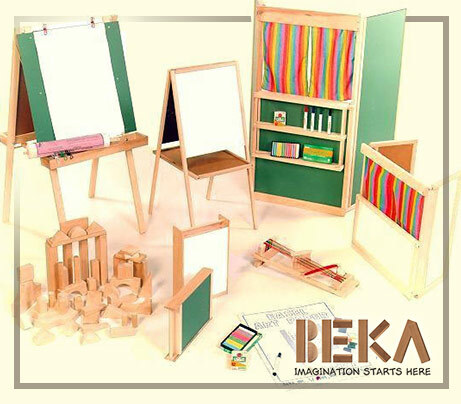 Beka - Imagination Starts Here!